BUGOLOBI – Spark Television’s Miles Rwamiti and his programme; Koona has been suspended by Uganda Communications Commission (UCC) – the communications sector regulator after breaching broadcasting standards when MP Kato Lubwama fought in the studios on December 21. 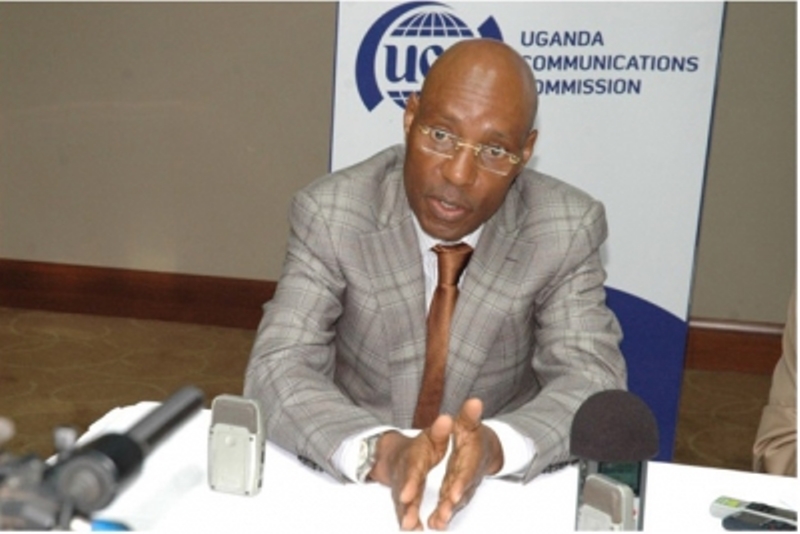 According to a statement issued by UCC’s Executive Director Mr Godfrey Mutabazi, the commission has also directed Spark TV to submit to UCC a written report showing what happened before, during and after the program, “KOONA” of Friday, December 21 as well as a copy of the recording of the subject program in 24 hours. This follows a ‘violent’ live broadcast by Spark TV where Lubaga South Member of Parliament Hon. Kato Lubwama unleashed a flurry of slaps onto his rival after they became embroiled in an argument with events promoter Bajjo events. According to the video, Bajjo mocked Kato for not knowing English yet he is a Member of Parliament. The duo then raised their voices accusing each other of being ignorant. Kato Lubwama then gave Bajjo a hot slap and kicked the studio table. He then stood up and again slapped Bajjo who also got up and fought back before Rwamiti separated them. Lubwama quickly walked out of the studio and the show abruptly went into a commercial break. The act was condemned by ICT and National Guidance minister Frank Tumwebaze among other parties including UCC. Tumwebaze on Saturday directed the regulator and the National Broadcaster Association (NAB) – the umbrella body of broadcasters in Uganda to sensitize the industry against violence. “That Spark Television should immediately suspend the producer of KOONA show and Mr Miles Rwamiti, the presenter until after UCC is satisfied that the producer and the presenter have obtained the requisite skills to direct and present the show in strict compliance with the set standards,” UCC wrote. Spark TV Management has also been ordered within 14 days to make a written representation showing cause why UCC should not suspend the TV’s license for breach of its license terms and conditions in accordance with Section 41 of the Uganda Communications Act 2013. “Should Spark Television fail to comply with these directives, I shall proceed to take other regulatory sanctions against Spark Television in accordance with Section 41 of the Uganda Communications Act, 2013. Mutabazi has also warned the broadcasting sector to watch these proceedings with interest as the commission has launched a crackdown on sub standard production. According to UCC, a preliminary review of the content of the subject programme of “KOONA” aired on Friday December 21 reveals that by Spark Television allowing show guests to abuse, insult and physically attack one another on live television, Spark Television breached its license terms and conditions, the law. UCC also accuses Mr Rwamiti of failing to control and guide the guests against the violent behaviour they exhibited on live television. Section 31 (a) (ii) & (iv) of the Fourth Schedule of the Uganda Communications Act 2013, prohibit broadcasters from broadcasting any program or content that directly or indirectly promotes hatred or a culture of violence & likely to incite and/or glorify violent behaviours. UCC said it has commenced full investigations into the compliance of Spark Television, professionalism of its presenters and the suitability of its programs.